Homeschool math doesn't have to be hard. Your children can actually Love Math and Be Good at it. There was a time when I thought I was doing the right thing. My son always scored well on standardized tests. But, math was always an issue in our homeschool even with good grades. Our lives revolved around 30 math problems day in and day out. My son hated it and resisted. When he resisted, I saw it as laziness. When I finally figured stuff out, it was almost too late. Math had nearly destroyed our relationship. After a 15 year hunt for the perfect math curriculum, what I found was base ten blocks and Cuisenaire Rods. More importantly, I learned How To Teach. With the help of Caleb Gattegno and Cuisenaire Rods, I'm here to equip you to be the kind of math teacher your children deserve. 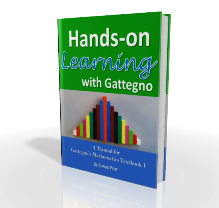 Get your copy of Hands-On Learning WIth Gattegno - my gift to you. Because there is no reason to spend an hour or more on math unless they are having fun. Because if they aren't having fun something is wrong. Because no child ever discovered the beauty of math by completing worksheets or timed tests. Because math is shocking, amazing, and strange. And they should grow-up knowing that. Because their math ideas matter and they have a lot of them. Because there is no such thing as being BAD at math. Because no child should ever cry over math, unless it's tears of joy and amazement. Your students will learn the habits of mind that take time to develop but pay huge dividends in both time saved and in math enjoyment which is accompanied by competency. Place the responsibility for your student's math education where it belongs - on the student. Watch them own it and love it. No more coercion, no more long hours of math work, no more boring drills, AND no more expensive math curriculum. 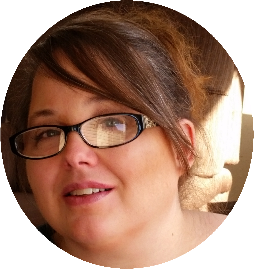 I began my homeschooling journey in 1999 with my oldest. Oh, what I didn't know then! Math was a dreaded subject in our home - we shed lots of tears and lived under the tyranny of the Saxon textbook. Thankfully, we get to make up for past mistakes and our children forgive us. I started over in 2015 with my youngest. This time, math is our favorite subject. Search No More! Arithmophobia No More is the place where all your math fears disappear. It is true. I know because we were once a homeschool family knee deep in math anxiety. I had spent many years researching, trying, and buying some of the most popular math curriculum. Thankfully this site’s fairy math mother brought us Caleb Gattegno. Using his materials, my children have a real sense of numbers through play. My approach to teaching and interacting with my children has radically changed because of Gattegno. We LOVE Gattegno. Before Sonya, I was ill equipped to teach my children math and I had hoped that textbooks would make up what I lacked. But soon I found that textbooks were failing my children and my children were growing to hate math. I needed to discover a new way to teach. Sonya opened the door of Gattegno to me and gave me the skills I needed to become a better math teacher, a math teacher that my children loved. Yes! I want my kids to love math!